We have been hearing for quite some time that Nvidia has been working quietly on a new generation of Virtual Reality solutions and according to Fudzilla, this initiative is in collaboration with Stanford University. 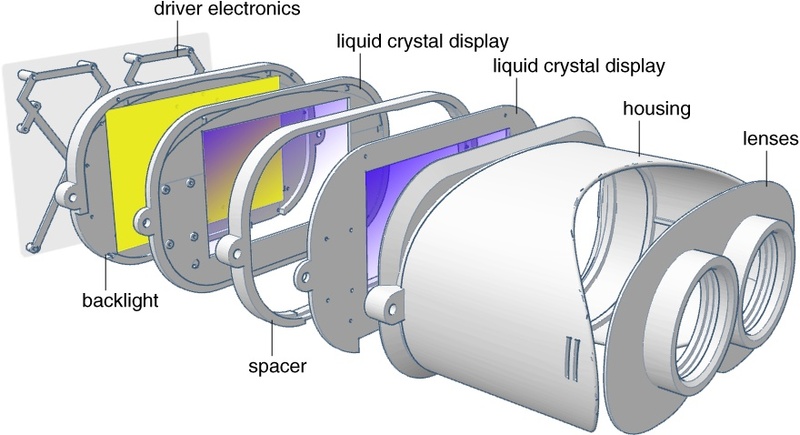 The new technology, called NE-LF (Near Eye Light Field) VR proposes to completely eliminate motion sickness by offering 4D (2D + 2D) images for both eyes that will combine to form 1 3D image (as opposed to two 2D images for both eyes that combine to form 1 3D image). According to the report, the tech will arrive by 2018. Currently, all VR solutions on the market have some form of motion sickness when viewing objects that are close to the virtual camera. According to David Luebke senior director of research at Nvidia: “This is because of the vergence-accommodation conflict, which is how much the lens of your eye has to change to bring sharp focus to your retina.” This means that if for eg, you are viewing something as close as your hands – it will inevitably lead to motion sickness. The new technology, called the near eye light field stereoscope, will address the vergence-accommodation conflict and result in a completely natural and more flexible experience. All major companies have been pushing forward with VR and the conventional VR tech has already gained alot of momentum. It would be very hard for Nvidia to come up with a completely new standard and knock the competition out of the water. It is also possible that by 2018, conventional VR makers have solved the problems that result in motion sickness completely. It is also worth mentioning that Nvidia has also finished work on VR Direct – a rival solution to AMD’s Liquid VR.